Panama Yellowfin Tuna fishing off the northwestern coast has anglers each and every year scrambling to make it here. 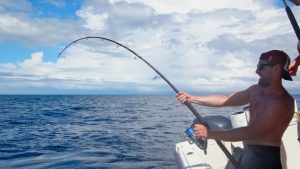 World wide anglers have been coming for decades bending all sorts of rods with these species. 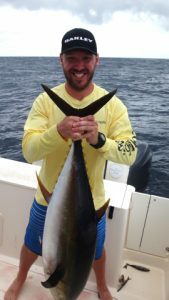 Among the Panama Yellowfin Tuna anglers that arrived during the month of June were treated to Black Marlin, Pacific Sailfish, bone crushing Cubera Snapper and Rooster Fish to name a few. 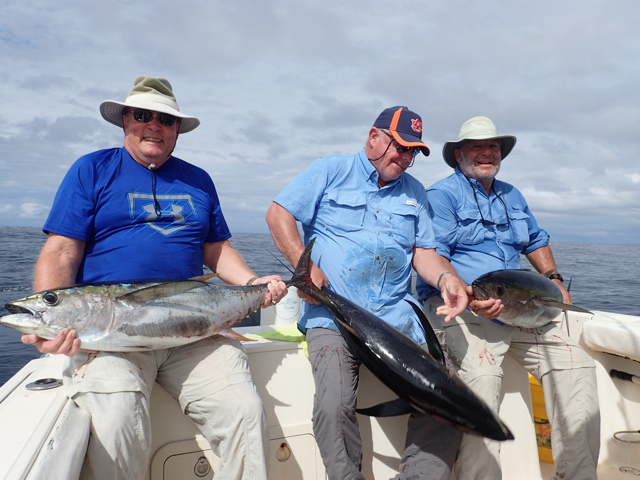 Arriving to provide the action we hosted 7 groups, the Lopez group, J. Wilke, J. Shippey couple, and T. Brammer group for the first half of the month. The Barnhart group kicked of the second half of the month followed by J. Clary group, M. Summers group and finishing off the month F. Guzman group. 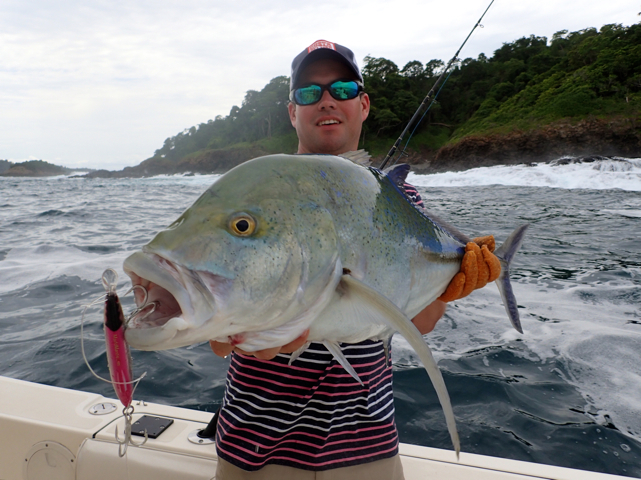 During the month of June anglers encountered full days of overcast conditions daily. Rain was always in and around the area but we manage to stay clear of the little spotted that were around. 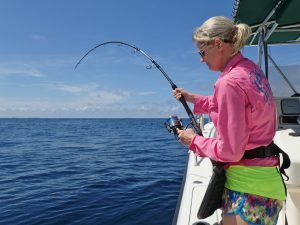 Blue water continues to provide excellent conditions with minimal current. 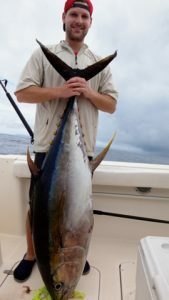 Very light winds throughout the month along with a 3′ to 4′ foot swell keeping everything under control for awesome Panama Yellowfin Tuna fishing. 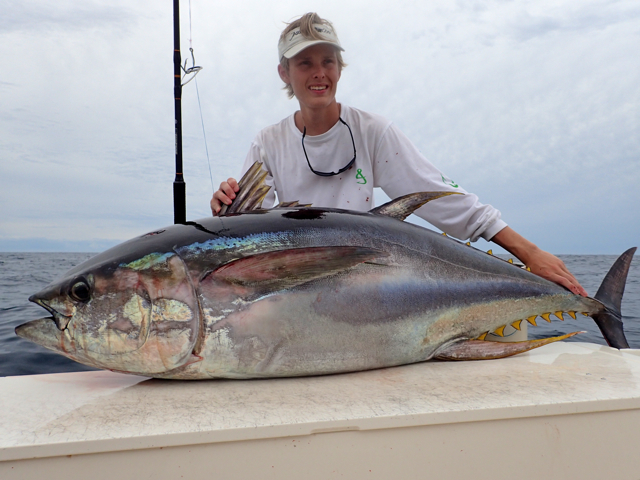 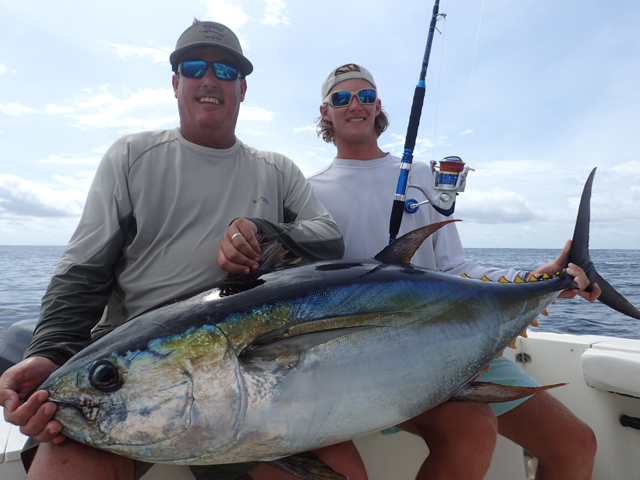 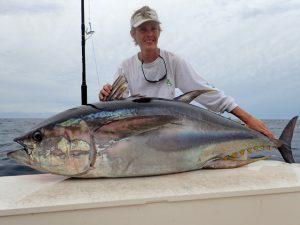 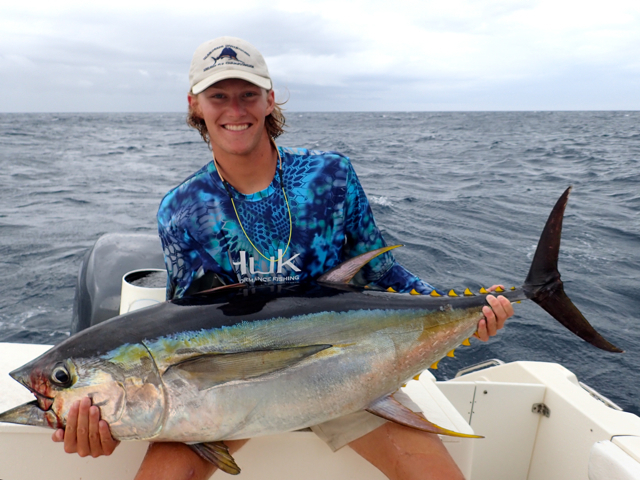 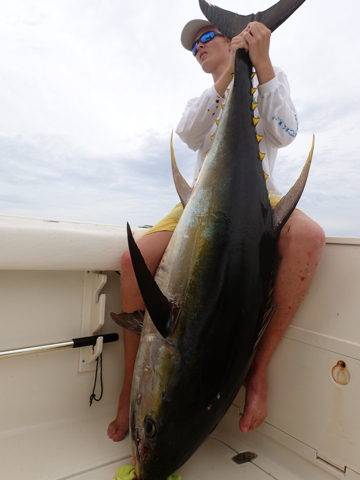 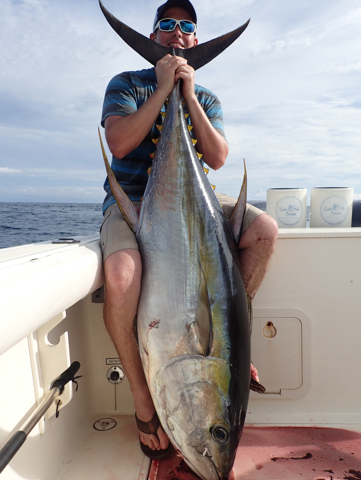 All anglers that came to sport fish with us in June hooked up with Yellowfin Tuna. 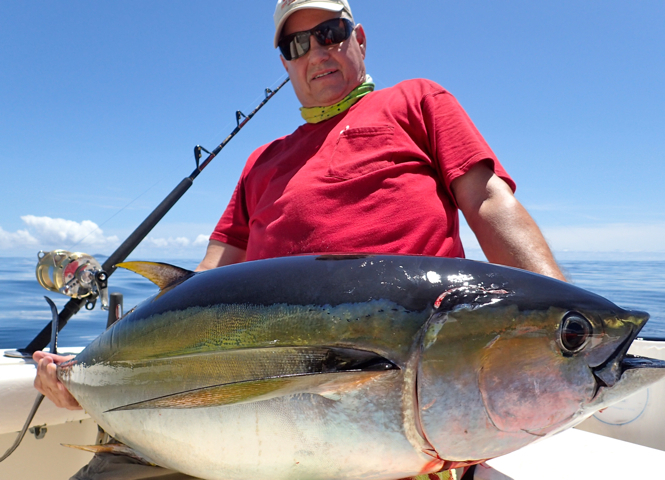 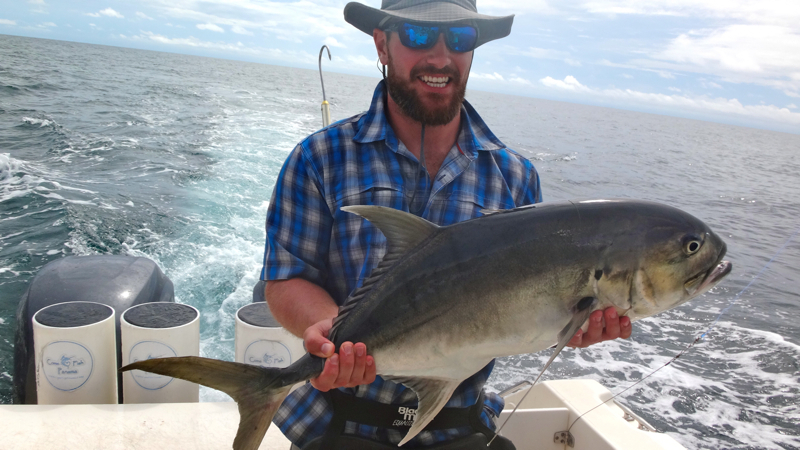 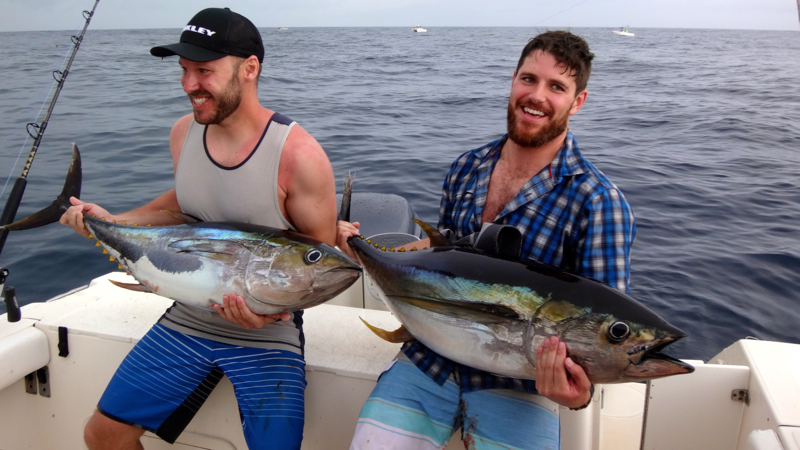 Some caught the Tuna of a lifetime while others caught their very first Yellowfin Tuna. 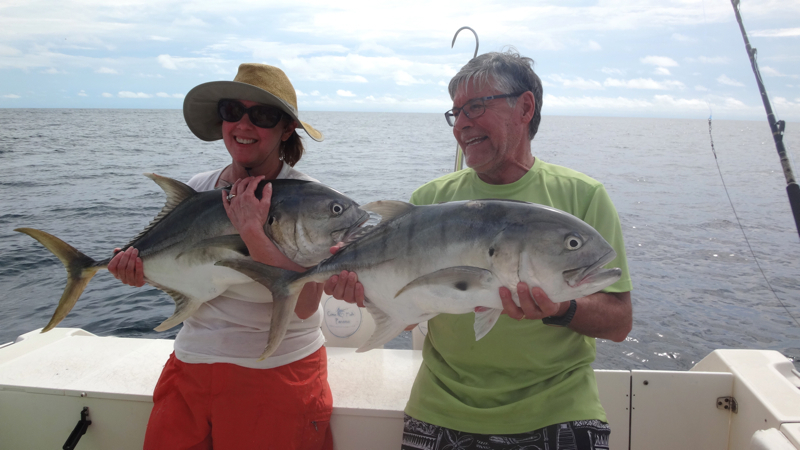 During the month some groups opted as usual to try for other species. 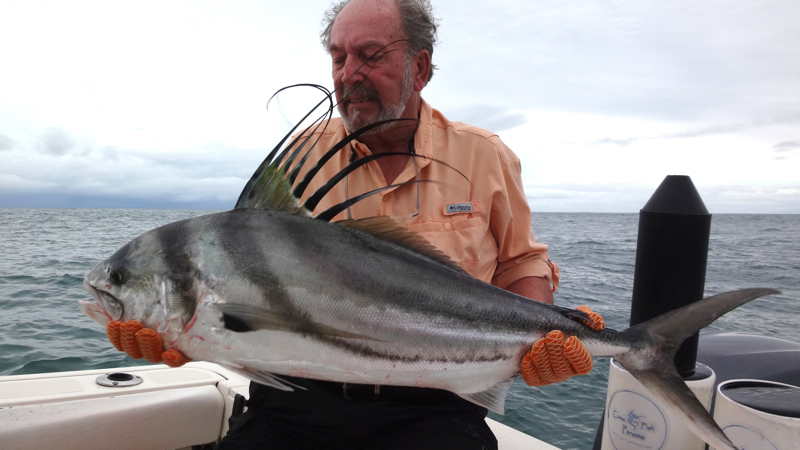 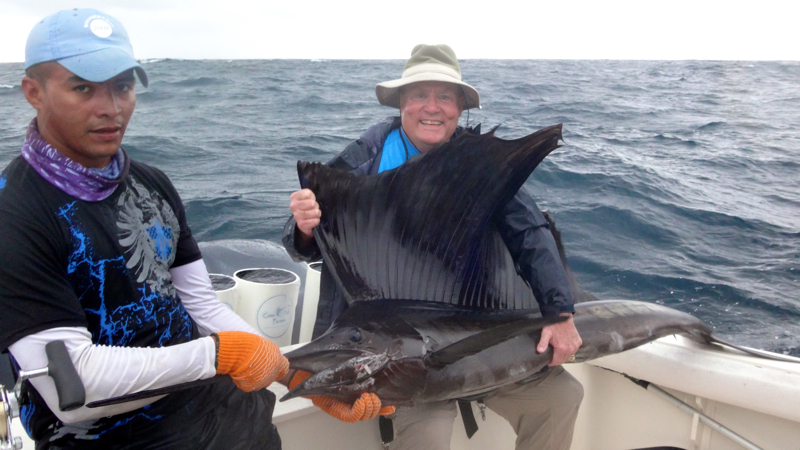 Jim Clary’s group got into a very nice Black Marlin along with Pacific Sailfish, Rooster Fish and other species. 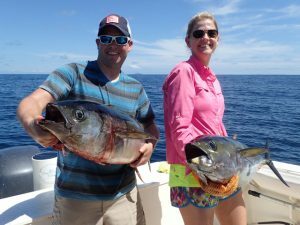 Justin and Karlea Shippey were stoked to hook up on Barred Snapper, Bluefin Trevally, Cubera Snappers, big and small Yellowfin Tuna. 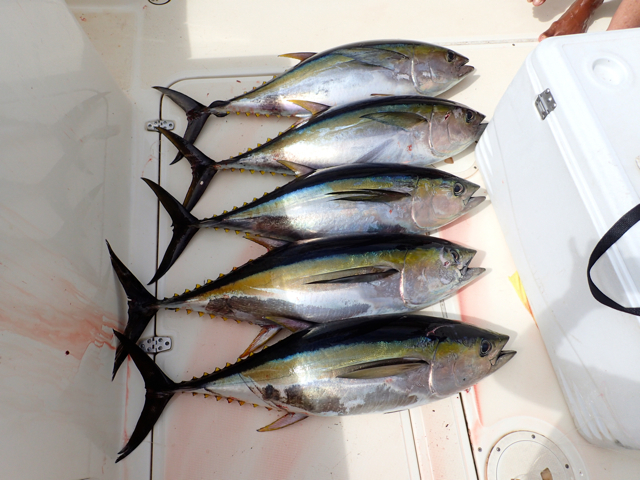 Many methods were provided and productive on these species which included offshore and inshore. 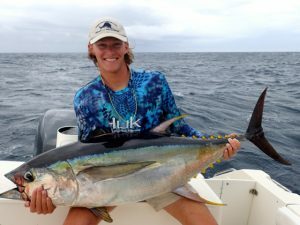 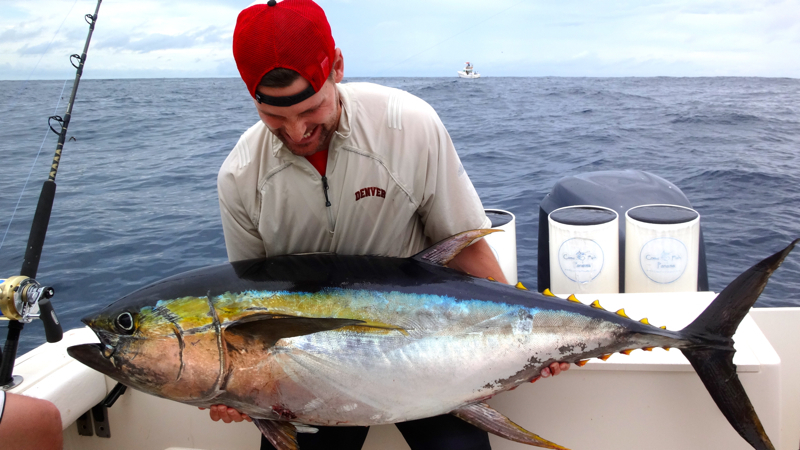 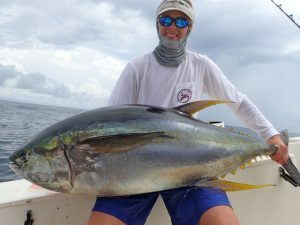 The June bite was epic for all anglers chasing Tuna and other species but Ted, Luke, Scott and Cole all enjoyed just hooking up with our Panama Yellowfin Tuna of all sizes. 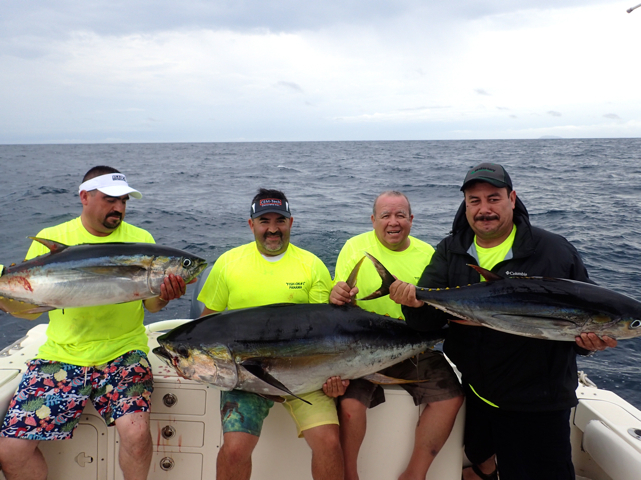 The Guzman group slammed the Tuna then headed to drop some lead on Snappers and Amberjacks. 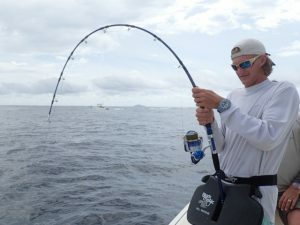 While the Lopez and Summers group bent all sorts of rods on Yellowfin, Rooster Fish, Jacks, Cuberas and more. 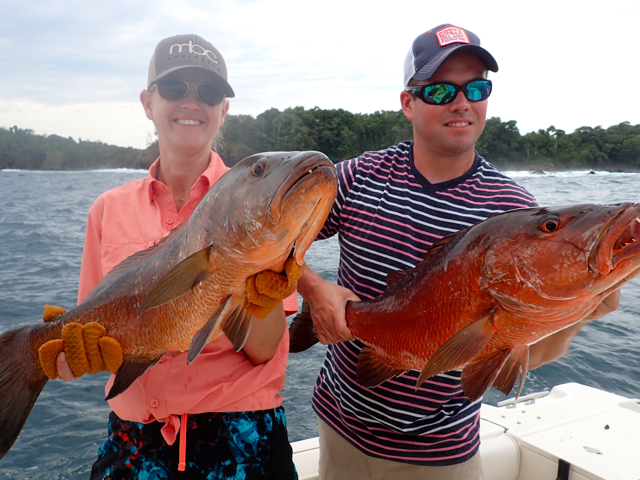 Come Fish Panama team thanks all our anglers that provided us an opportunity to take them sport fishing. We fully recognize that there are many other fishing charter providers out there and are grateful our customers chose us. Just a quick reminder to those who are thinking about sport fishing in Panama during the month of June. 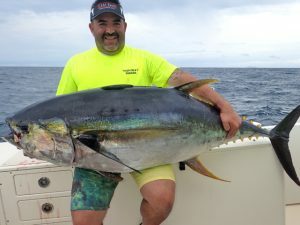 Even though we did not have many rain showers or heavy rain showers, do keep in mind that June can provide lot’s of rain but the fishing is just as good. We have placed some of the many photos that were taken throughout the month below. 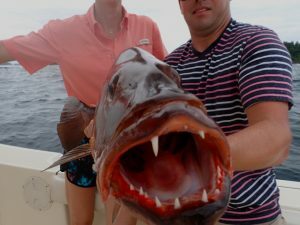 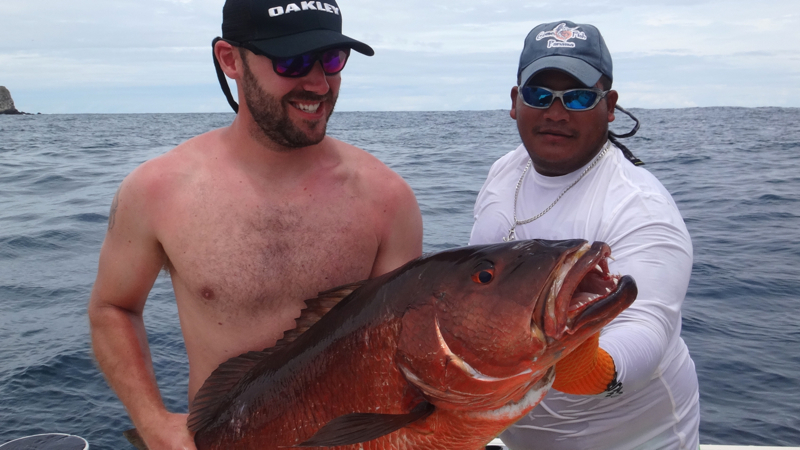 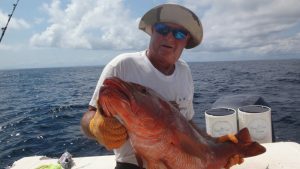 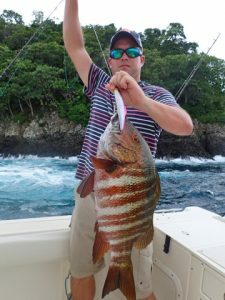 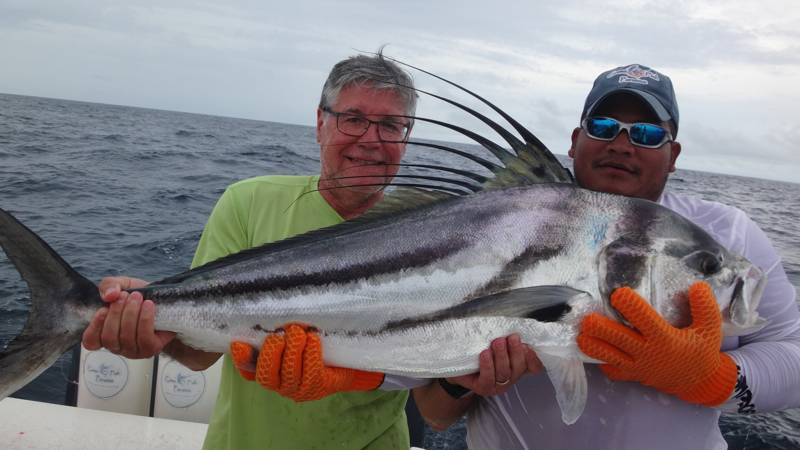 We hope you enjoyed our Panama Fishing report for June and do hope to see you and your group here at Come Fish Panama in the near future. 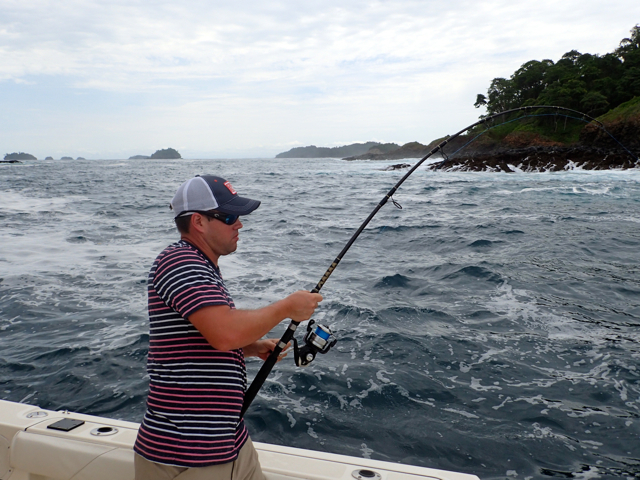 Feel free to call us or fill out our contact form should you have any questions regarding Come Fish Panama.